Construct unified modeling language (UML) diagrams to represent object designs. 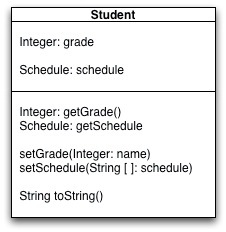 Construct unified modeling language (UML) diagrams to represent template class designs. UML stands for Universal Modeling Language, which is a unified, internationally agreed upon way of doing modeling of a wide variety things, including several software tasks such as flow charts, and this, class diagrams. Below the diagrams is the actual code that would be represented by this example. This might be jumping forward quite a bit, depending on when you do D.1.3, but here are a couple of full class diagrams, including all the kinds of relationships you are responsible for knowing about in the OOP option. Though "standard", you'll see a bit of variation in UML diagrams. It can be argued that since UML is primarily for you the programmer, to help keep yourself organized, that's OK. But since you will be working with others, the more standard you can keep your UML, the better. You'll note in particular that the way UML class diagrams are constructed in IB documentation varies significantly, as seen in the marking schemes from year to year. 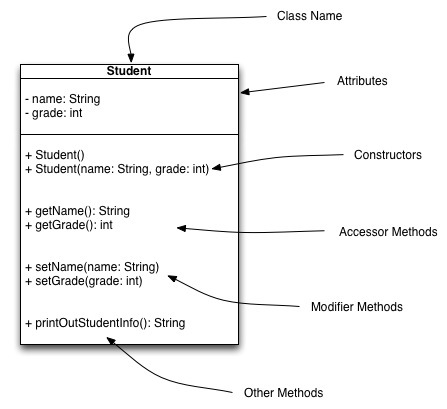 Below is a pretty typical "IB style" UML class diagram. Where such IB sourced UML appears in my website, I'll label them "IB style". 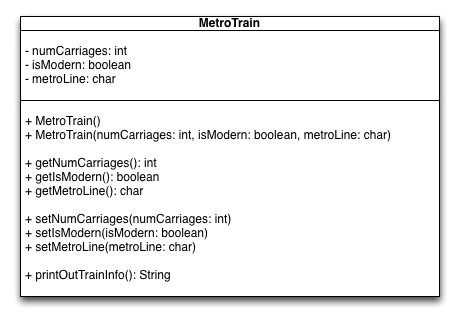 And you should be comfortable with this style, but do recognize it is not at all standard UML. 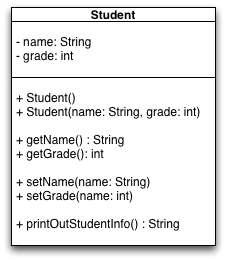 Please, when you do your own UML diagrams, even for IB exams, stick with the standard approach used by most programmers, as shown above, at the top of this page.